Time, the most important resource in a modern workshop, was the focus in the development of the tempora machine concept. Processing edges needs to be as quick, easy and efficient as possible. To achieve this, the tempora models combine the core skills of speed, productivity, flexibility and ease of use in a convincing complete package. 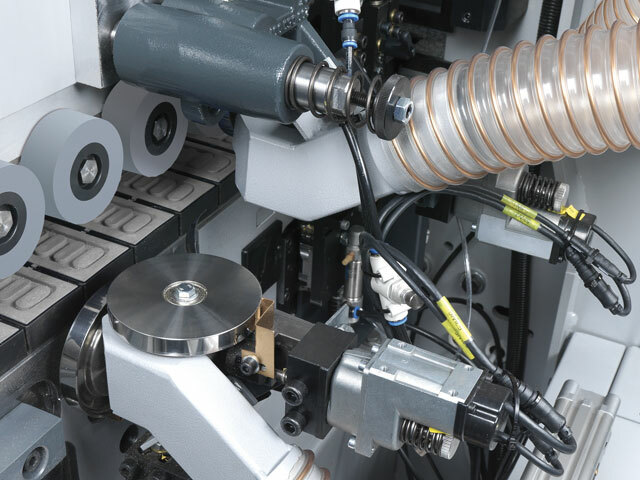 The final finishing results when processing both coiled and strip material convince with incredibly high standards, that fulfil the ever increasing demands of edgebanding complete processing. Solid edge processing aggregates and an optimised machine chassis guarantee absolute stability even when running at maximum speed. 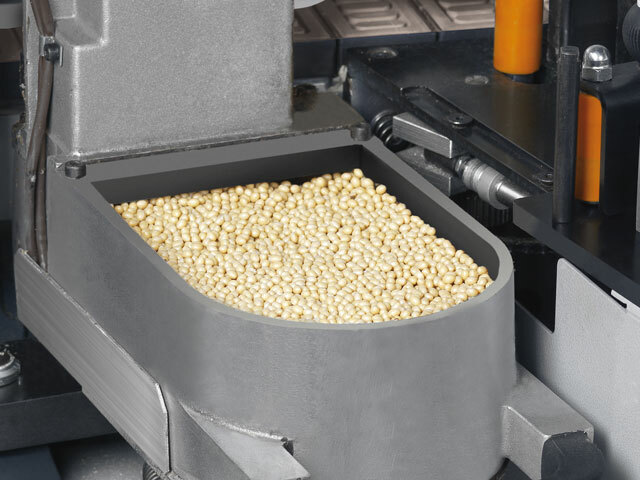 The user friendly control options, "x-motion plus" and "e-motion" ensure absolute repeatability and individual configurable operating programs enable quick change of the aggregates and edge material. With the "Professional" and "Performance" processing packages and the individual aggregate options for both finishing places, the tempora can be perfectly configured for company specific requirements. 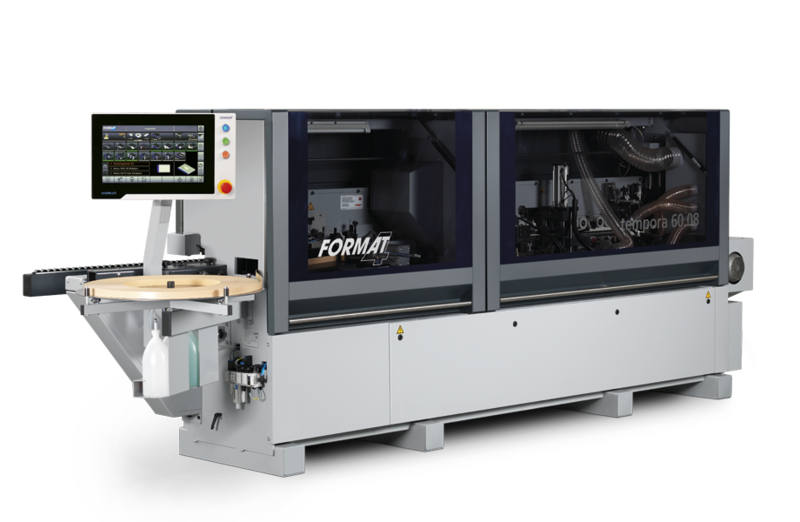 Take more time with your customers in the future – the tempora allows you to achieve the production in record time. 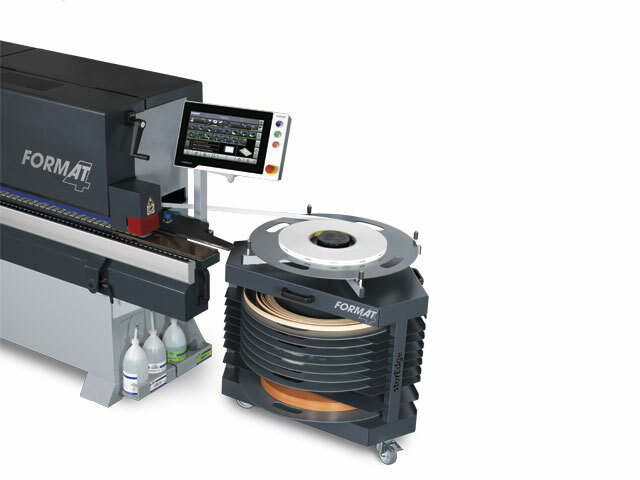 The “tempora” edgebander requires only 8 minutes to reach operating temperature. The Teflon laminated gluepot and its tool-free quick change system is suitable for EVA (ethylene vinyl acetate copolymers) and PUR (Polyurethane resin) hot melt adhesive granulates. The fine-adjustable glue roller ensures that the correct amount of glue required is applied and can adapt perfectly to different edge materials. 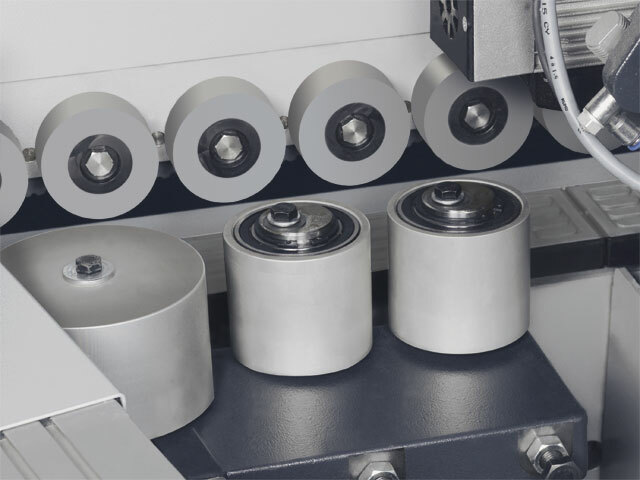 The first pressure roller, which is solid and adjustable, presses the edging material to the workpiece. The adjustable control prevents the glue from smearing and the edging tape from being “squashed”. The two conical pressure rollers complete the glue bond at the top and bottom. 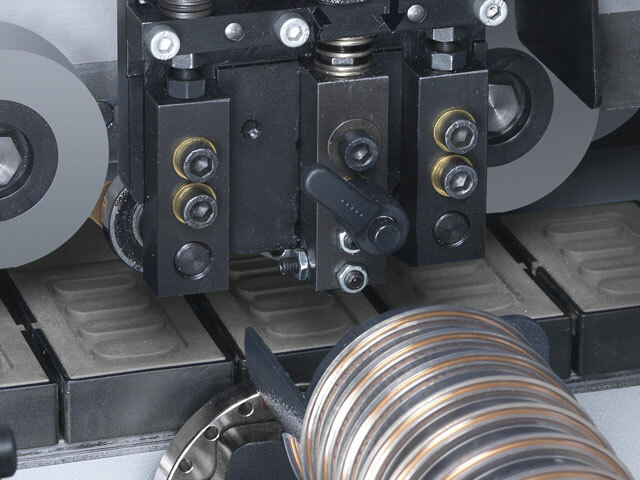 Two contact pressure settings can be selected from the control panel: less pressure for when strip material is processed and increased pressure for processing coiled material. 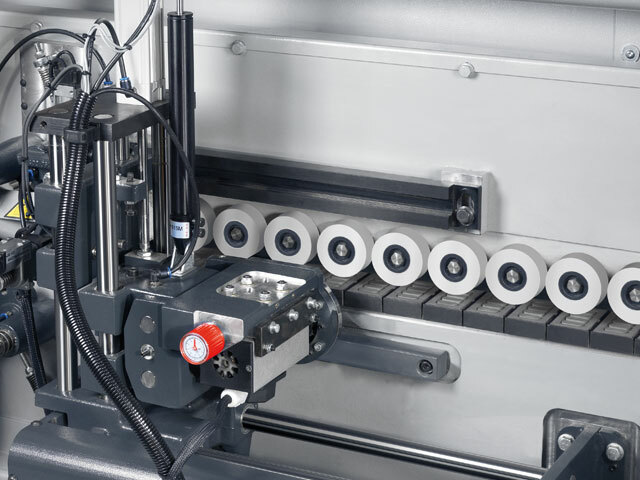 Two pneumatic contact pressure settings can be selected from the control panel: a strip cylinder with low pressure and a roller cylinder with high pressure. 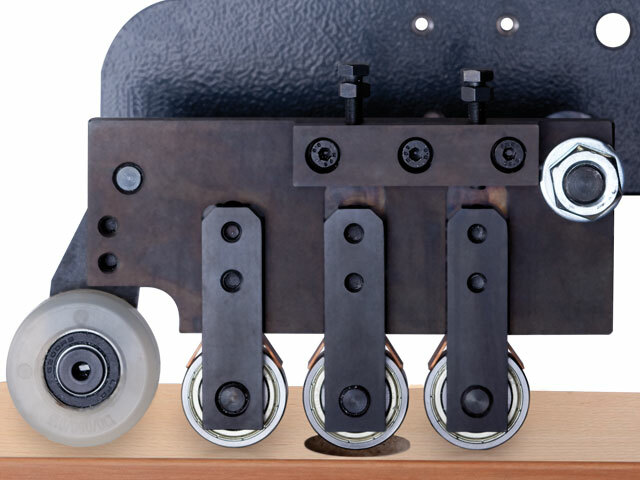 All e-motion models have an electro­nically positionable pressure roller unit as standard. The end trimming unit consists of two inde­pendent saw units with high-frequency motors (12,000 rpm). 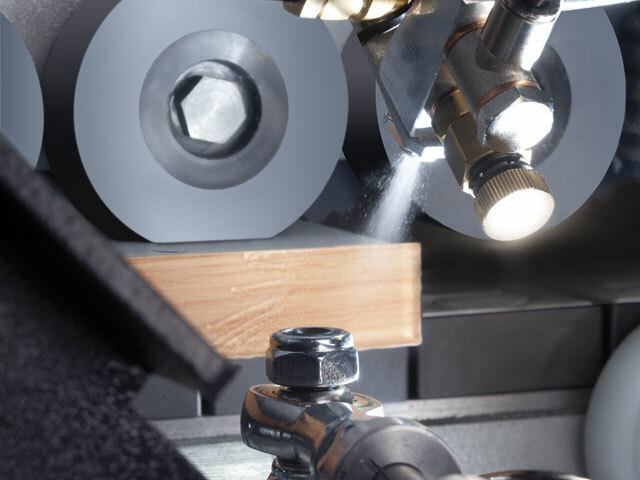 Linear guides ensure maximum precision. 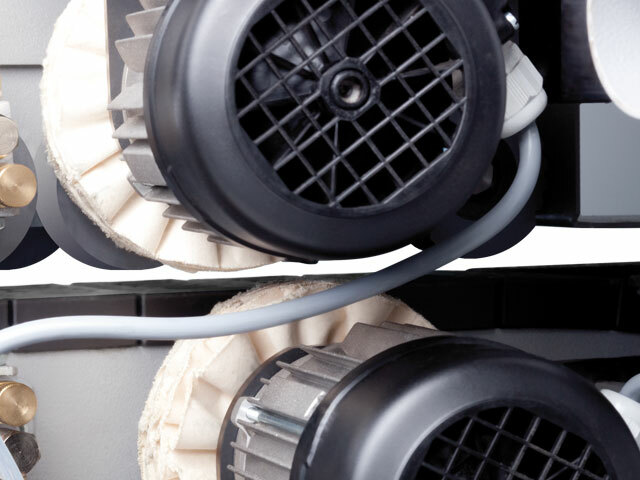 The end trimming unit tilts from 0° to 15°. 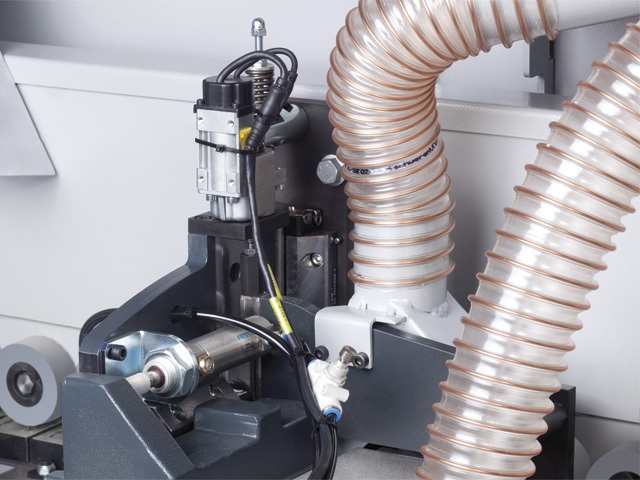 Depending on the machine specification, tilting is regulated manually or pneumatically via the control panel (e.g. 15° bevel cut, front only, rear only or front and rear). 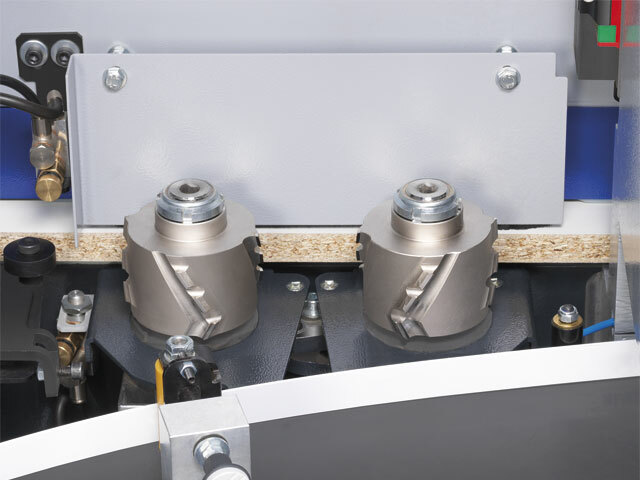 The multi-functional flush, radius and thin-edge bevel trimming unit consists of two independent trimming units with high frequency motors (12,000 rpm). 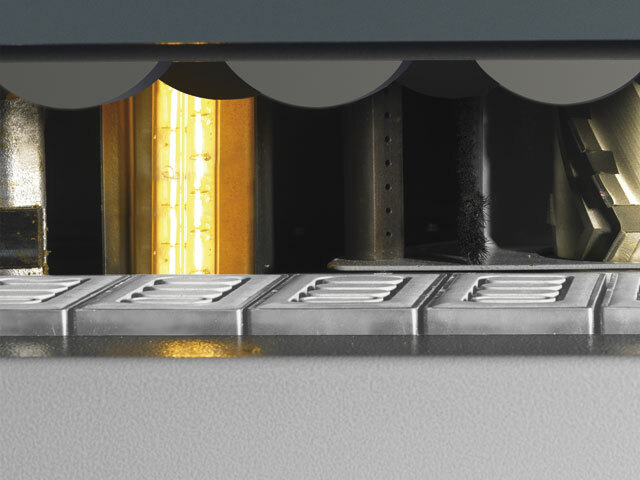 Linear guides guarantee the highest possible precision with little maintenance required. The easy adjustment and setup of the unit means that it is extremely quick to change between different edge thicknesses and profiles. 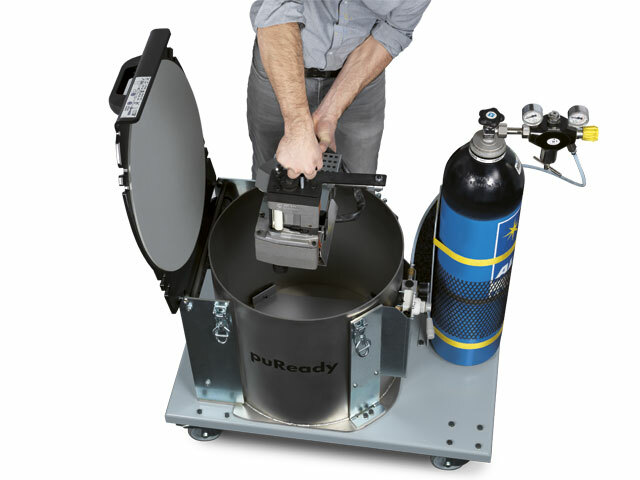 Depending on the equipment option chosen, the multifunctional trimming unit can either be adjusted manually or pneumatically, controlled via the control panel. 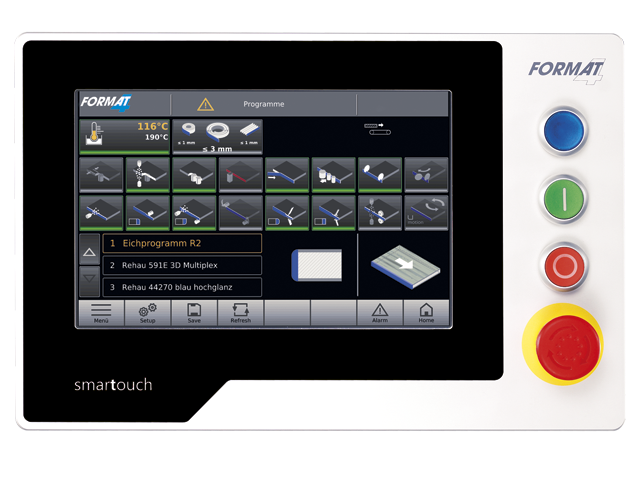 On all of the e-motion models, the setting of the electronically positionable units is carried out on the colour touch screen. 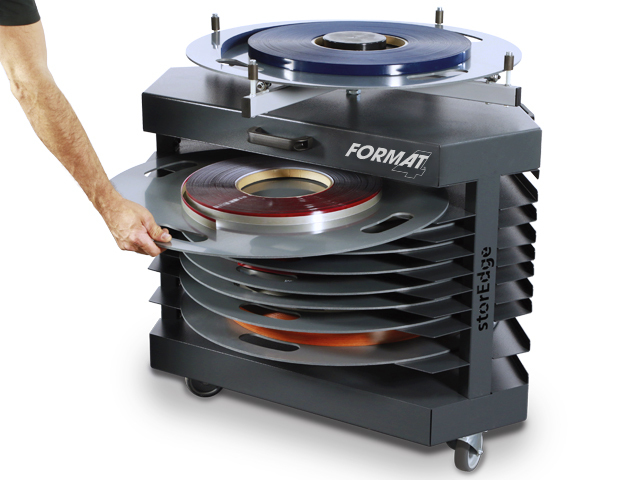 No more time consuming postprocessing of the workpiece! 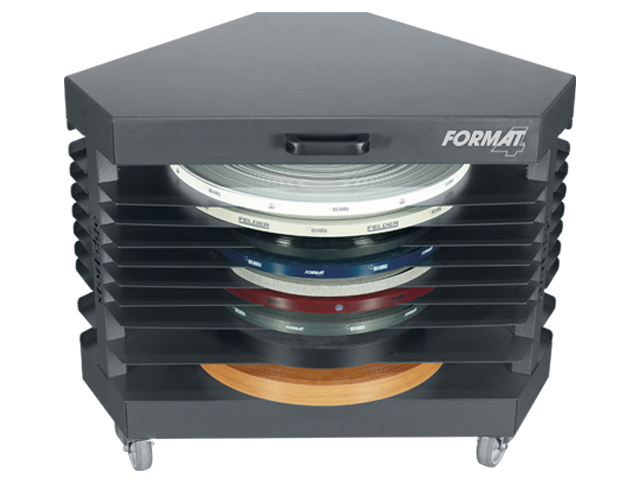 The Format-4 corner rounding unit provides the perfect 'finish' of workpiece corners (for both softforming and postforming materials) for edge materials from 0.4 mm to 3.0 mm and a processing height of 60 mm and a feed speed from 12 m/min. The solid cast iron construction, linear guides and a high-quality spindle with a starting clutch ensure long-term precision. 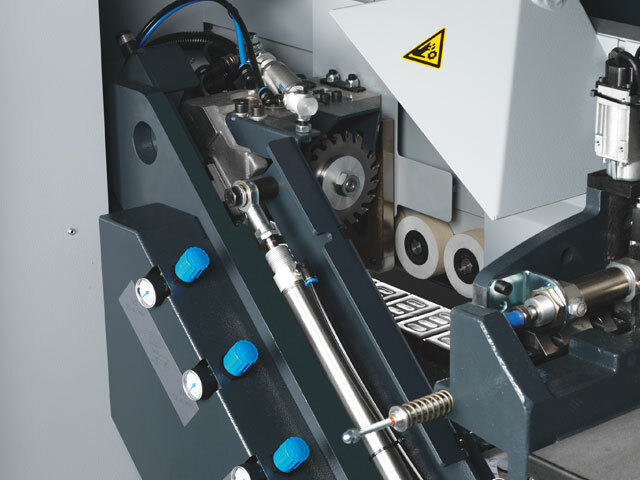 The corner rounding unit is controlled from the control panel, naturally with the option of choosing which corners need to be rounded (only on the front of the workpiece, only on the back, or both on the front and on the back).